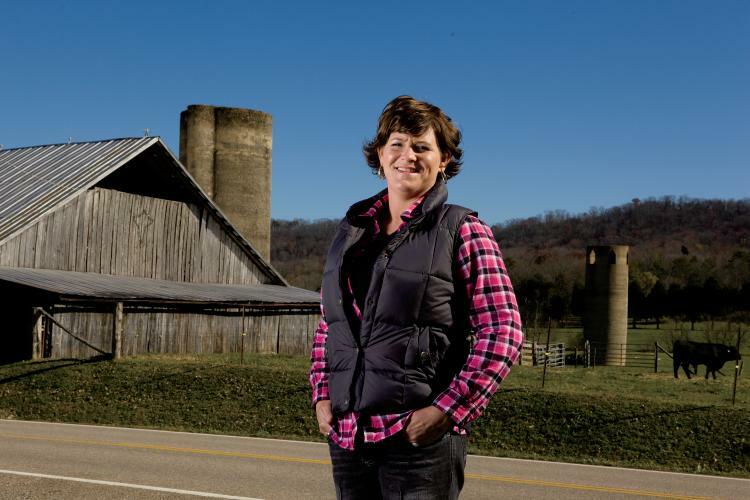 A city-girl-turned-farm-wife, 35-year-old Whitney Tilley has a fresh perspective on what it means to be a farmer. The Tilleys farm beef cattle and hay in the Midway community of Roane County with their four children, Charli, 13, Cole, 10, Stella, 8, and Silas, 6. Q: What is it like to raise your kids on the farm when you don’t come from a farming background? A: I didn’t grow up on a farm, but I did go to my grandparents’ farm on weekends. I was the city kid with the pet goat! Agriculture wasn’t something that was a part of my everyday life, but I couldn’t picture my life anywhere else now that I’m married to Travis. I consider raising our kids on the farm to be the biggest blessing and gift we can give them. They are well-rounded – they know to get things you have to work for them; they understand life, sickness and the processes of their food and meat. We teach them that God gave us these animals for a reason, and we’re to treat them well while we have them. 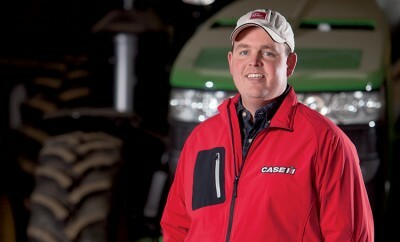 Q: How do you share your farming story with others? A: I definitely think we have to be proactive. It’s easy for farmers to get weighed down with circumstances they can’t control and forget to show how happy they are to be farmers. You have to decide that’s your passion and it will come out in any conversation. Our daughter Charli is in a gifted program and on one of her field trips I shared with her teacher how our farm operation worked. She later sent me a note and asked if she could come out to the farm. People listen and want to hear that farmers care and that their food is being produced by somebody who has the same values as they do. 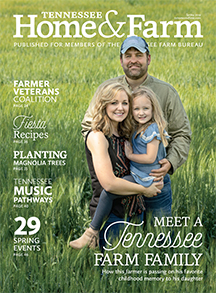 Q: The Tennessee Farm Bureau Young Farmers and Ranchers program has been a big part of your life. 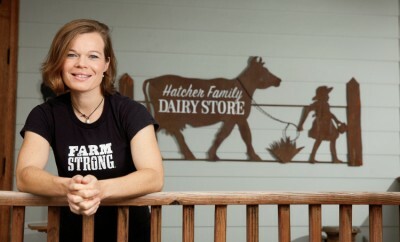 Is it important to have supportive organizations for young farmers like yourself? A: Young farmers from Tennessee Young Farmers and Ranchers have been our closest friends. It’s helped me out tremendously by just listening to some of the issues that haven’t come up in mine and Travis’ conversations, as well as some things we haven’t had the opportunity to learn – it’s a good way for us to get our information. The support it provides is priceless and it feels good to know other people struggle with the same issues you do and hear what they’ve done to overcome them.